Human rights activists fear that Behnam Irani was taken to be beaten or tortured and left to die over time from his injuries by being denied medical care -- a method known as "silent executions." These are what the regime uses to murder many political prisoners without increasing its execution count. The authorities simply report the prisoner died of "natural causes." 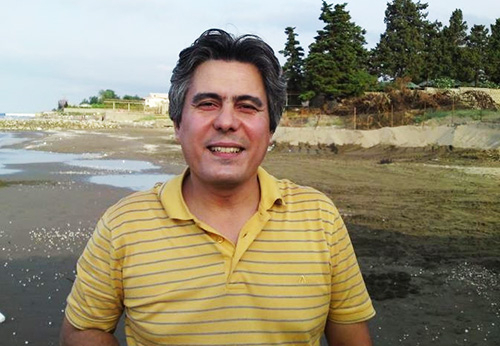 Behnam Irani, an imprisoned Christian Pastor, was forcibly removed from his cell at 6:30 a.m. on June 7, 2014. He was apparently told that he was being taken for court proceedings and that he would be returned shortly. He was never taken to court or returned to his cell; his family and cellmates fear for his safety. His whereabouts are unknown and all information about him being withheld from his family. Christian Pastor Behnam Irani, imprisoned in Iran since 2010. Irani was sentenced in February 2008 to a five year suspended prison sentence for his Christian activities and proselytizing Muslims, referred to as charges of "acting against national security." Then, on April 14, 2010, security forces raided his home, beat him in front of his family, and arrested him. He was sentenced to an additional year by the courts; bringing his sentence to a total of 6 years, and was serving his sentence in Karaj Central Prison. Although Irani was not sentenced to death, given the regime's history, human rights activists fear that he has been taken to be beaten or tortured and left to die over time from his injuries by being denied medical care -- a method known as "silent executions." These are what the regime uses to murder many political prisoners without increasing its execution count. The authorities simply report the prisoner died of "natural causes." The Islamic Republic of Iran ranks among the top 10 countries for extreme persecution of Christians on the World Watch List. A detailed UN Human Rights Council report from March 2014 blasts Iran for continuing to imprison Christians for their faith. The report also points to the Islamic Republic's hostility toward Jews, Baha'is, Zoroastrians and Sufi Muslim Dervishes. U.S. Senator Mark Kirk told Fox News: "This report is as an important reminder about the true nature of the Iranian regime. ... We can't pretend we are negotiating with Western moderates – we are negotiating with Islamic radicals who persecute Christians, Baha'is, other religious and ethnic minorities and women, while denying all of its citizens basic human rights -- including the freedom of speech and assembly." Going by the number of arrests reported by various media both inside and outside Iran, during the last three years there has been a surge in the persecution of Christians in Iran. In December, President Hassan Rouhani sent his best wishes to those celebrating Christmas via Twitter, "especially Iranian Christians." But in Iran, of course, Twitter is banned and blocked. For the West there's only one solution to this dangerous, treacherous regime! Utter and total isolation of the country involving no communication, no trade, no international travel (no entry to airports, harbors, declaring Iranian International Passport invalid, freezing of all overseas/international assets). "It brought down the Russian communist regime"! Assist/support all internal resistance movement(s). Applying sanctions to those countries supplying parts and/or materials for the manufacturing atomic weaponry. This regime will not stop at anything to achieve nuclear power. Therefore, there should be no fear, when needed, to attack and destroy the country's nuclear building facilities. Once they succeed in developing nuclear power, we will not only have lost all negotiable power over this regime, but at the same time over any Middle Eastern Power, with the exception of the State of Israel. Is there an official petition we can sign in order to embarrass the mullahs into action? It is possible that international condemnation may have an effect in the case of Meriam Ibrahim. The more cases like this receive attention from the mainstream media, the more we expose Islam. Important report! When will the Western world's Christians wake up to the blatant persecution of their fellow Christians in Muslim countries?